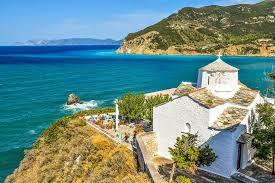 Cheaper Car Hire in Greece - Compare Estate, SUV, jeep, cabrio & MPV low cost rental on the Greek islands. 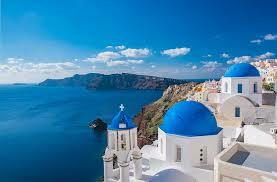 Compare cheap car hire on the Greece mainland and the Greek Islands. Our renowned car hire suppliers have a good range of vehicles to rent, but not all vehicles are available on all the islands. We have discounted rates from quality car hire companies, that help you save when you pre-book through us. Choose from:- Auto Union, Europcar, Green Motion, Firefly, Hertz, Olympic, Surprice or Thrifty. Yes, it is cheaper to book here, than to go to these companies direct. The fuel policy is mainly get full, return full. At airports, some suppliers are at the airport, like Athens, but some are and some need a shuttle bus, but this is clearly shown on the rates page. We offer cheaper motoring costs in Greece. We help make Greek driving made simpler. Get an SUV in Athens and on the Greek Islands. Over ten million Greeks are spread across the mainland and the islands. Gained independence in 1822 from the Ottoman Empire, but as we all know, the Greeks go way back and have influenced most of the world in one way or another. 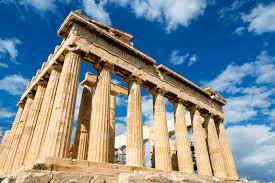 Athens and the ruins, as well as all the islands, have long drawn many a tourist to this part of the world. Too many islands to mention them all, but some of the favourites have always been Corfu, Zante, Lesbos and Rhodes. Sorry if left off your one. This island, with two name, will inspire. Indeed, it has inspired the likes of Edgar Alan Poe to put pen to paper, to capture its beauty and charm in verse. This is an island with lots of attractions, unequaled natural beauty and an enchanting history waiting to be explored. They love their football the most, but also are particular to basketball and wresting. Merchant shipping plays a major role in this, as they are the world leaders. Tourism plays a large part and as of May 2014, the Greek economy is coming out of the doldrums of the last few years, so pay and visit, spend some money and help! The currency is the Euro. To call, Greece, dial +30 first. Cars are left hand drive. is an island with many secrets and best explored by hire car or bike. It is less busy than other Greek resorts, but it has a good selection of hotels and restaurants, with no shortage of white sandy beaches. Indulge and enjoy. 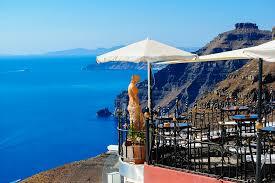 Need a cheap taverna or pension? - Check the rates we have got from Agoda and see if we can help with save on your room as well. If moving around the Med, then compare Crete prices here,and if going on to Cyprus, then here for Cypriot rates. 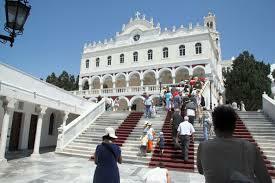 If travelling there is all Greek to you, then find out more before you go from the Greek Tourist Board.